Boats will sail through the wild water and white foam of the river which will thrill and excite you, and pass the bridged canyon, while you pass by the natural park on both river banks. 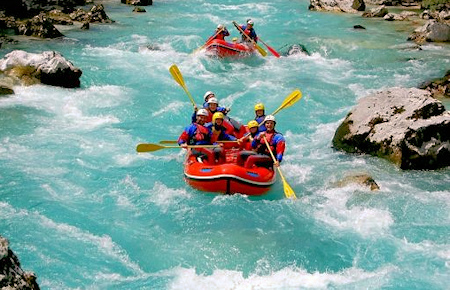 Rafting has developed since the 1970's and is considered an extreme sport. 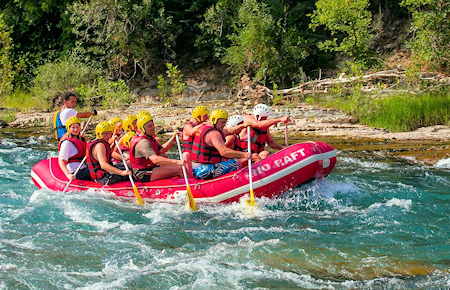 Well-trained, experienced and professional rafting guides will accompany you. You will enjoy lunch on the river bank with an open buffet and barbecue. Few other sports can allow you to experience so much all at once. Since you will be occupied physically and mentally, you will have no time for overthinking or boredom, especially as you need to be ready for unpredictable encounters. 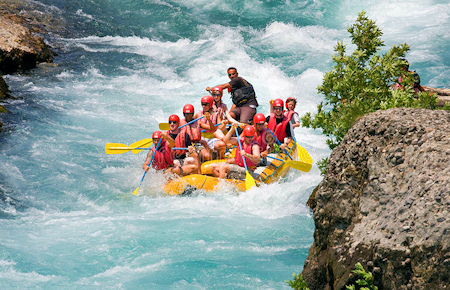 * Rafting Manavgat River Tour. * Ideal for adventurers and friends of nature. * Enjoy an open buffet and barbecue.